Quail Hollow Estates is an enclave of established homes just North of the intersection of Sharon Road West and Park Road. This great location is close to Quail Hollow Golf Club, SouthPark Mall, Pineville, and many places to dine and shop on South Boulevard. An Uptown commute is no trouble and Charlotte Douglas International Airport is convenient as well. 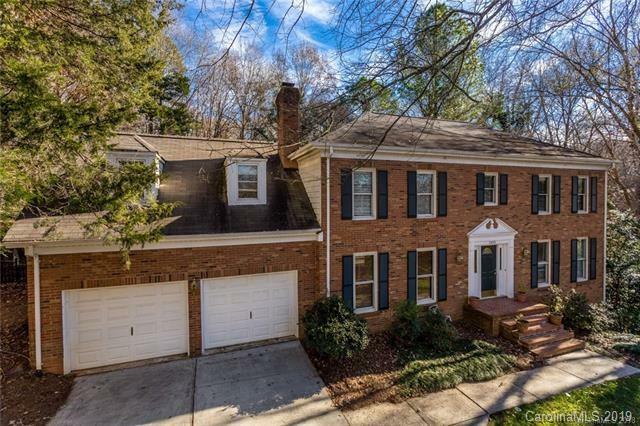 Homes in Quail Hollow Estates were built between 1972 and 2004 and sit on lots averaging a fifth of an acre but can be over half of an acre. Homes average just over 2,000 square feet, but some homes have over 3,800 square feet. Many of the homes have been extensively remodeled and updated. In the past year, prices have been in the mid-$300’s to the mid-$400’s. Children in Quail Hollow Estates are currently zoned for Smithfield Elementary School, Quail Hollow Middle School, and South Mecklenburg High School. Please verify school assignments as boundaries can change from one school year to the next.